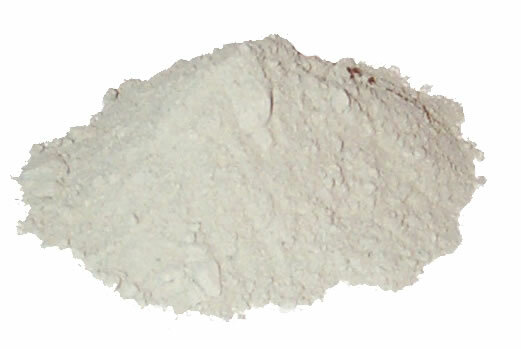 A very fine powdered clay, free from any stones, grit or coarse particles, the clay is essentially hydrated aluminosilicates of sodium, calcium, magnesium and iron. Bentonite is commonly used for end plugs and nozzles as it can be compacted into a very solid mass with a few blows from a mallet and drift. Expands when wet and cracks when dried.